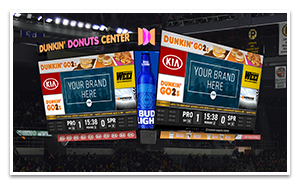 Fixed and digital signage, including branding and advertising on the scoreboard, high-visibility in-arena signage, and digital signage in all properties for all shows and events. 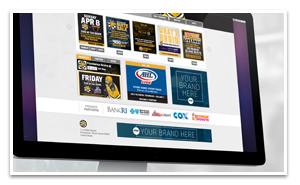 Web advertising, social media and email marketing across our digital properties, including web ad banners on the official websites of all PSE Agency exclusive properties. 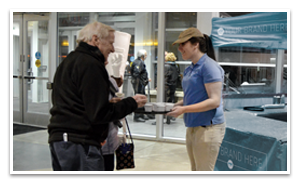 Interact directly with attendees with experiential marketing opportunities, including sampling, interactive exhibit booths and more at P-Bruins games and select events at our properties. 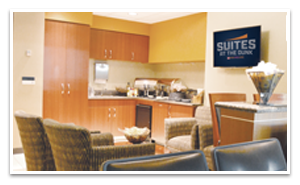 Host clients and customers, reward employees or provide incentives with a variety of ticket and hospitality options, including Suites at the Dunk or tickets to special events.